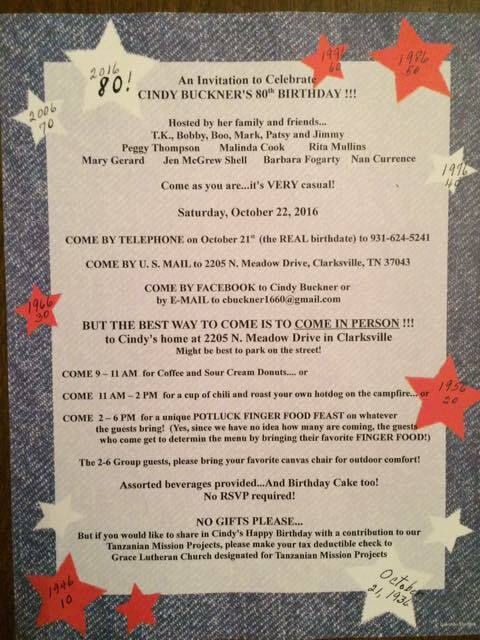 This is so Cindy…..she is having a party to celebrate 80 years of life. Can’t believe she is 80!! What fun and in lieu of gifts she suggests making a tax-deductible donation to Grace Lutheran Church for the benefit of Tanzania missions.